Chamomile Shampoo: Great for blondes to brighten light hair! Dry Shampoo: This is great for oily hair. Also is a wonderful substitute for a wet shampoo. Especially for the elderly or bedridden. Sprinkle the cornstarch in your hair or use a large make up brush to dust into hair. Let it absorb for a few minutes, brush it out. To remove extra powder, after brushing use a blowdryer to remove excess. Mix together all the ingredients. Store in a bottle. Add a tablespoon of carrier oil if the shampoo is too drying. Wet hair. Lather. Rinse. Beer Shampoo: great volumizing shampoo! Please, always be careful when using essential oils and herbs. Some have health effects so always check the label for warnings. Never ingest and always keep out of reach of children. Consult your local herbalist or health food store before using these ingredients in your beauty recipes. Rosemary may also be useful in the prevention and treatment of headlice, excellent for scalp problems like dandruff and itchiness. Lavender Oil has a balancing, harmonizing effect on the emotions and also on the skin making it excellent for use in cosmetics and toiletries where it balances the production of sebum from the oil glands making it beneficial for dry or oily skins for psoriasis, acne, eczema, seborrhea and spots. Chamomile is an excellent rinse for fine hair, especially during hot weather - just be sure to strain it well before using! It is also famed for lightening hair, which is why it is frequently used in shampoos for blonde hair. Tea Tree oil is an Antiseptic, Anti bacterial, Anti fungal, Immune stimulant. Great for dandruff and troubled scalps. Olive oil to add shine to hair. Cleanse your hair naturally by making your own shampoo at home with pure, simple shampoo recipes. 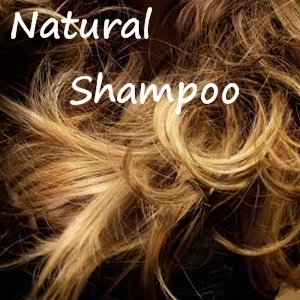 Homemade shampoo has many advantages over synthetic manufactured shampoos. Avoid all the harsh chemicals and customize your own shampoo tailored to your needs. Not only can you make an organic shampoo for dry itchy scalp, but you can make it moisturizing as well. Or make a homemade shampoo for blonde hair to bring out your highlights. It's simple and easy! Create your own personalized shampoo with these easy natural recipes: SIMPLE SHAMPOO, DRY SHAMPOO FOR OIILY HAIR, CHAMOMILE SHAMPOO, BEER SHAMPOO, MOISTURIZING SHAMPOO, DANDRUFF SHAMPOO and more!! This is a wonderful recipe for all hair types. Most shampoo bars are done the cold process way , but this is for the melt and pour process. You can actually hear your hair squeak when you wash it.It is nearly impossible to find a melt and pour recipe for shampoo bars. Melt melt and pour soap base, in a separate container melt solid oils, butters, mix together and put into molds after adding fragrance oil and color. Thas is all there is to it. Have ready and empty water bottle or a squeeze bottle(your choice)Warm up water in microwave for 1 minute on high, then put in both tea bas and let steep for about 10 minutesWhile steeping, Add cider vinager, oliveo oil, shampoo, and honey to bottle.squeeze all the water out of the tea bags and throw away. Pour tea in bottle. Shakw all ingredients well. Use as as possible. store let overs in fridge. Remember to shake well before each use. Mix together all the ingredients. Store in a bottle. Apply onto wet hair and scalp, massage into lather and rinse thoroughly. Here's a super easy way to make your own natural shampoo that you can customize to your specific hair care needs. All you need is liquid Castile soap then add the oils and essential oils needed for your hair type. 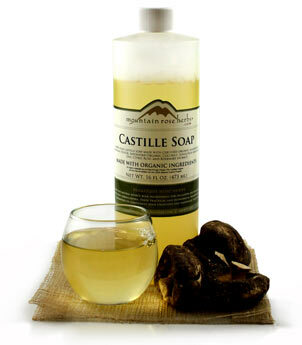 Castile soap is fairly cheap at about $6 per 8 oz. Have dry hair and an oily scalp? Or dandruff yet dry ends? By adding the correct oils to your blend, your shampoo can fit just what you need. Apply onto wet hair and scalp, massage into lather and rinse thoroughly. Steep the herbs and water in a covered pan for 30 minutes. Strain and allow to cool. Mix with remaining ingredients then bottle. When using fresh herbs or teas for your shampoos, remember these will not last as long as when using essential oils. Make smaller batches, maybe 3 ozs or so. Steep the tea and water in a covered pan for 30 minutes. Strain and allow to cool. Mix with remaining ingredients then bottle. Apply onto wet hair and scalp, massage into lather and rinse thoroughly. Mix the herbs in a jar and seal it tightly, including the lavender. Boil 2 cups of water. Add 3 tablespoons of the herbs into the water and then remove from heat. Allow it to sit for about 30-45 minutes. Strain the mixture into a clean bowl. Next add about 2 ounces of the mixture into a a clean 8 ounce plastic bottle (you can use an old shampoo bottle) Add in the castile soap. Close the bottle and shake well. submitted recipe!!! TY!!!! 1. Dissolve the soap in the hot water. 2. Stir in the olive oil. You can substitute another vegetable oil if you like, but olive oil is generally accepted as healthy for skin and hair. 3. Add the glycerine and any essential oils you might want. 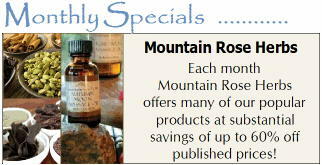 Typical essential oils would include lavender, peppermint, or citrus. You can use this shampoo as-is or as a base for specialized recipes for oily hair, dry hair, dandruff, etc. submitted recipe!!! TY!!!! A truly luxuriant, extra mild and gentle liquid soap made from certified organic ingredients. No harsh chemicals, additives, colorants, sudsing agents or other ingredients, just pure derivatives from plant sources. Great for the face, body, as an all purpose wash, and it makes a wonderful base ingredient for your own soaps and shampoos. Enjoy the cleaning power of pure liquid castille soap that suds beautifully, without leaving a residue. Contains: Water, Saponified Organic Coconut, Sunflower and Castor oils, Citric Acid, and Rosemary extract. Follow HM Beauty Recipes's board Natural Shampoo Recipes on Pinterest.